Tori. Just Tori.. Don't know if it's here, but still, she's too perfect to be not uploaded.. Wallpaper and background images in the Barbie pelikula club tagged: barbie the princess and the popstar princess tori. This Barbie pelikula photo contains toga. There might also be hapunan dress, hapunan gown, pormal, gabi toga, balldress, pangkasal toga, damit na pangkasal, and damit-pangkasal. She's amazing. Why everyone likes purple wig? Lol for Lola, I love her. And her name is vitTORIa, lol. But I choose Keira now. Well,I agree .She is amazing just like all Barbies.If you mean Keira but saying "purple wig" than I must say that everyone likes Tori not Keira.Look at the usericons of all the fans.Most of them have Tori in their userpics. Ugh Vi, I know you're a big Keiramaniac. But you seem to force us love Keira more than Tori. Ain't you? I don't force anyone to love Keira .Why do you think that ?I am just telling you that there are more Tori fans than Keira fans because you said that everyone loves Keira. I hate to say it, but I can see why people might prefer Keira. I know it's way too early to judge, but Tori looks... well, an awful lot like all the other recent Barbie heroines. Keira, at least, is somewhat different looking. But that's just my assumption, of course. There are probably a number of other reasons. Yes,I was really sad to learn that Tori is a copy of Blair.But I don't get why you think people like Keira more.I see that more people have Tori in their userpics than Keira.I'm not saying this because I am a Keiramaniac. No, I see what you mean. I don't see as many Keira userpics (the only ones I can think of off the top of my head are yours, Puri's and Mariolka's). But, then again, I don't see a lot of PaP userpics in general. How couldn't I be disagree with Miss Major's words? 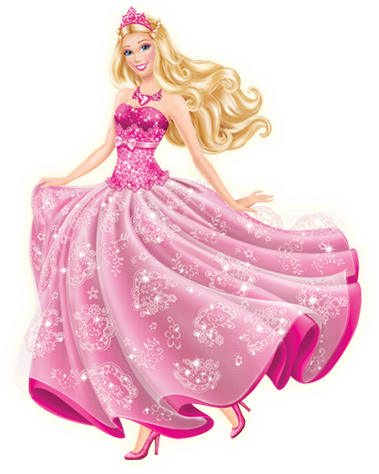 Tori is Barbie indeed: blonde in pink, sweet princess and voiced by Kelly Maria Sheridan, while Keira is Ashleigh Ball....oh, I mean, something new and not really Barbie-ish. I have to disagree here; I think more people prefer Keira. I do think MajorAbbey is right and part of the reason people prefer Keira is because she is 'different' from the other Barbie heroines. But seriously, is it me or is there a silent war going on between 'Keira fans' and 'Tori fans'? It didn't happen with Anneliese and Erika, from what I can remember. Silent war!! A new "cold war" here? oh lol. It seems to appear so. And of course Anneliese's and Erika's fans had nothing against each others. I don't hate Keira; I just prefer Tori. Oh; actually, I prefer Anneliese and Erika. OMK!Please don't just say that I started the war . I also think there is kind of a "silent war" .It seems like Tori's fans think people like Keira more and Keira's fans think people like Tori more .Well,let everyone think what they want to think.We can't change each-others mind. We can't. But the war must be stopped. You know, I started to like Keira (after reading of Miss Starr's last fanfiction). I (kind of) hated her because she wasn't voiced by KMS! But now I've got it- Ashleigh ain't bad at all. I'm glad to hear that .That's why I started defending Keira .In the beginning all Tori maniacs wanted Keira to be voiced by Diana.I am a Keiramaniac but I never wanted Tori to be voiced by Diana .I never understood the Torimaniac for saying that .They are too busy with Tori to understand that Keira is overshadowed by Tori . Maybe they are equal in the movie but I still remember that in the books of PAP ,Tori appeared more than Keira. Oh Vi; nobody said Keira's less important than Tori. Or else, the movie would be called "Barbie The Princess", without "The Popstar", y'know! They're 50/50, you see? And I like them both; can't really decide. It's like choosing between Paul & RIngo. Yeah, I remember when the books came out and it seemed like Tori was getting more of the attention (I say "seemed" because, once again, it's probably a matter of opinion). That doesn't say much about the movie, though. As for the two of them... well, I can't decide, not least because I haven't seen the movie yet. Right now, I'm more interested in Duchess Amelia (and, I suppose, the lack of Awesome Military Guy). Those were only books. Books never tell all the history, so maybe, some parts including Keira were missed there. Anyway, it's not a reason to think that Keira was underrated or something.